Your fundraising dollars play a very important role in what we are able to do within the community. 100% of the donations raised by the Race go towards supporting local autism initiatives in efforts towards providing the greatest amount of impact. On October 27 St. Marks Women’s Golf Tournament benefiting Susan G. Komen will tee off its annual event with four person scrimmages. There will be shots for sale on the fourteenth tee. It will held at St.Marks Women’s Golf Club and is open to members and their guests. Admission for the event per person is a $20 check made payable to the Susan G. Komen Foundation. For an additional $15 dollars attendees can enjoy a host free awards luncheon. Shotgun is at 8:00 am. 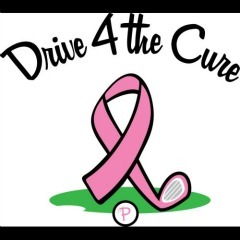 Additional attractions during the tournament include Mulligans Magic Putts for a donation of $5.00 per team along with a prize raffle tickets for a dollar with extra tickets for purchasing $5 and $10 ticket bundles.Attendees are requested to dress in pink.